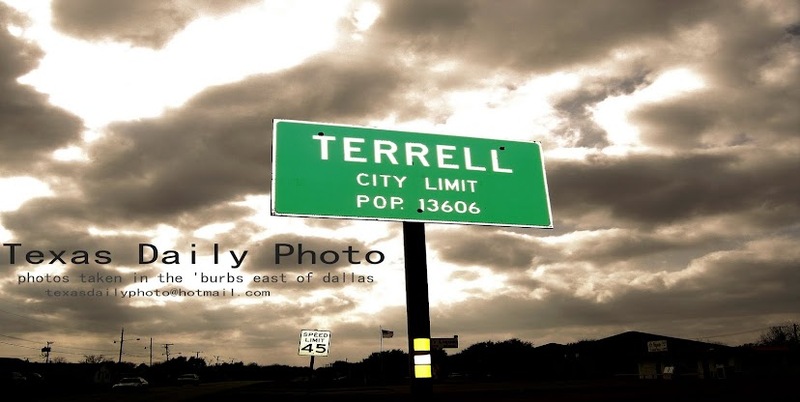 Terrell Texas Daily Photo: Terrell Texas Daily Photo turns 1 year old!! It was right after New Year's last January when I decided to start my blog. It hardly seems like a year - the old saying about the years going by faster the older you get is so true. Jim over at Terrell Daily Photo tried convincing me to start one the year before, but I was hesitant because of the time commitment. Even when I did my first post, I pondered if I'd be doing my 2nd post 'next November/December' =) Like other changes I made in my life last year, it's all about taking it one day at a time. And admittedly, I've rekindled my interest in photography - and also spent an inordinate amount of time editing and playing around in paint shop pro photo =) so not everything has been for naught. Congrats, Brian! Great photo of the Iris. 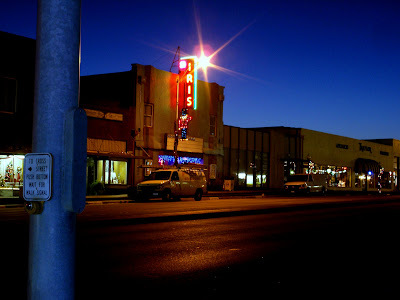 I like it when both you and Jim take night photos of Terrell. And I love that blue blue sky - I like the neon against the blue sky too!!! Niiice shot!!! Happy anniversary for real this time. I really like this photo - very nice! Many congrats on the first year! Typical that you were a day late with your own celebration, better late than never! I really enjoy seeing Terrell through your lens. Keep up the good work. Here's to the next 365 posts! Happy Anniversary!! I just saw the announcement at CDP about your turning 1.. Sorry I missed out on the actual anniversary day. Here are my wishes of many happy returns and success. Belated congratulations on your first year. It is a mad thing we do, but hell I love it.